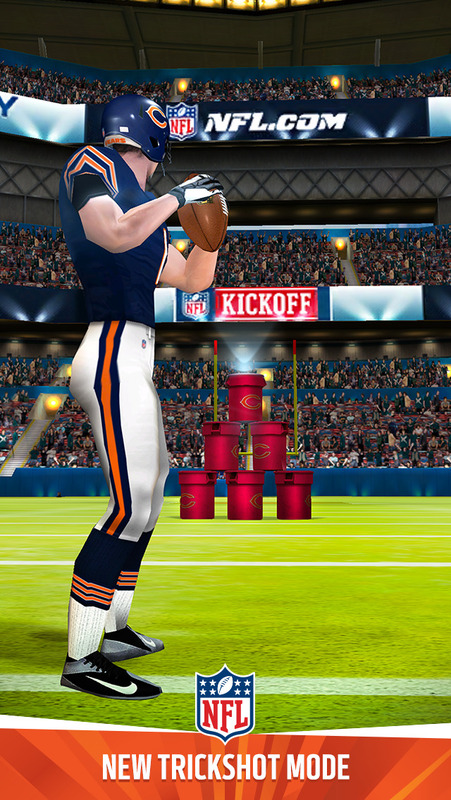 THE #1 QUARTERBACK GAME ON MOBILE RETURNS! You are an NFL Quarterback! Choose your favourite team and start he official NFL QB challenge updated for the 2014/ 15 NFL season! From the makers of the award winning NFL Kicker, Flick Golf and Flick Soccer. Can you handle the pressure and responsibility of being the most important man on the field? The most precise football controls on mobile are back, to give you the tools to execute mind-blowing plays! Experience Full Fat's unique, award winning flick and after-touch controls. 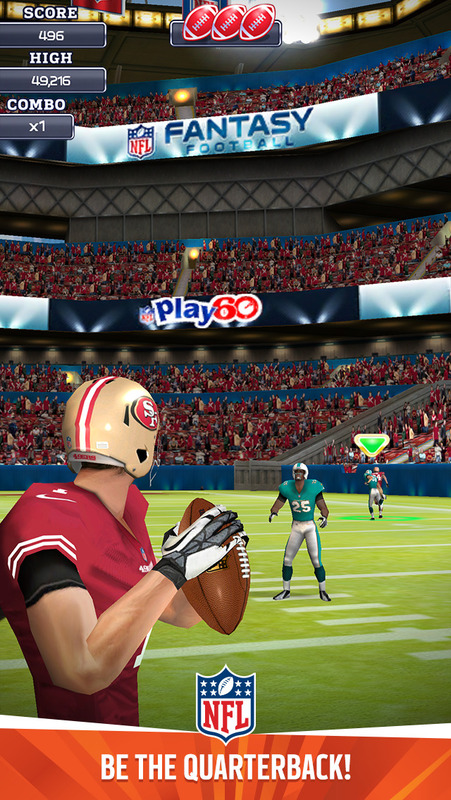 FEATURING ALL 32 NFL TEAMS, NEW OFFICIAL 2014 UNIFORMS AND EQUIPMENT Amazing high resolution graphics put YOU in the action as the QB, with detailed players in amazing stadiums. FEATURES Authentic receivers with multiple passing options and routes. 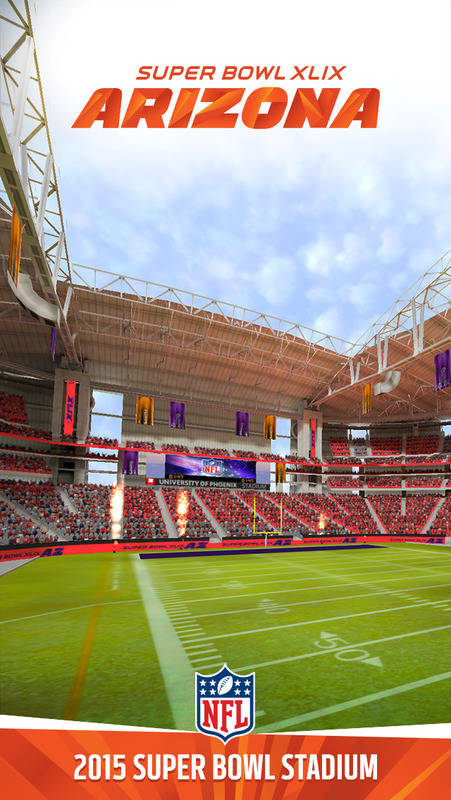 It’s the Super Bowl XLIX Update! 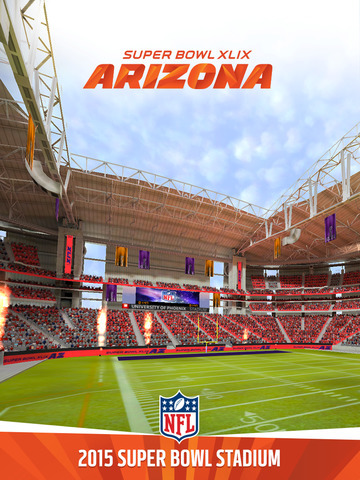 Unlock the University of Pheonix Stadium, home of this year’s Super Bowl. Check out the new Super Bowl menus and theme. Please continue to rate and review the game so that we can provide you with more awesome updates! Have a great Super Bowl!